In the 2000s there are more than 20 Māori radio stations around New Zealand, revitalising the Māori language and continuing a tradition of Māori broadcasting that began in the 1920s. The first radio broadcasts in the Māori language were recordings of songs. On 6 February 1928, Waitangi Day, a programme of Māori history, songs and stories was broadcast across New Zealand. The first regular programme including Māori language was broadcast in 1928 and aimed to improve listeners’ pronunciation of Māori words. The first programme entirely in Māori began in 1940. It was a news bulletin about the Second World War, and also included local Māori news. The newsreader, Wiremu (Bill) Parker, went on to have a 40-year career in broadcasting. Other radio shows in the 1940s and 1950s included Nga pao me nga pakiwaitara a te Maori: song and story of the Maori, and Te reo o te Māori, which began in Napier, but was later broadcast nationally. In 1964 Leo Fowler set up the New Zealand Broadcasting Corporation’s Māori Programmes Section. He and Bill Kerekere often took a mobile broadcasting studio around the country to record important Māori events. Te puna wai kōrero, made by the Māori Programmes Section, ran from 1971 to 1996. This long-running English-language programme reflected the interests of Māori. Māori music was often heard on radio. Māori show bands were broadcast in the 1960s and the pop song ‘Poi e’ was a hit in the 1980s. By the 1970s the number of fluent speakers of Māori had declined, as younger people were not learning the language. People began to argue that Māori should be spoken more widely, including on radio and television, as a way of reviving the language. In 1978 Te Reo o Aotearoa, a new unit of Radio New Zealand (the national public radio broadcaster), was set up to make programmes in Māori and Pacific languages. 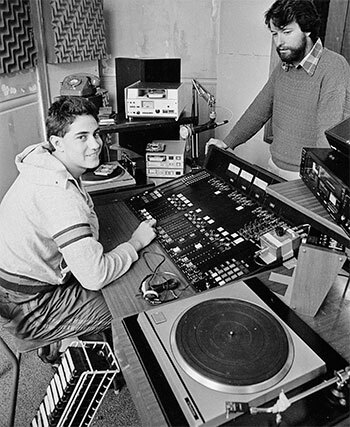 Temporary or part-time Māori radio stations began to broadcast in the 1980s. The first permanent Māori radio station, Te Reo Irirangi o Te Upoko o Te Ika, was set up in Wellington in 1987. The first Māori radio stations had little funding and were often run by young people. In 1990 New Zealand on Air – Irirangi te Motu, the government agency that funds broadcasting, started funding iwi radio stations. Te Māngai Pāho, a Māori broadcasting commission, was established in 1993. In 2013 there were 22 iwi radio stations around the country.